tony moly philippines | Badudets Everything Nice! My first lip and cheek tint is Bench’s Pretty When Pinched, it’s a purple color but gives off a reddish tint when applied on cheeks. Bench’s PWP has been in my kikay kit back in college. A few months back, I bought Pretty When Pinched again for old time’s sake but got disappointed because it’s not that pigmented and doesn’t have the staying power like their old formulation. So I decided to try a new brand, this time with Tony Moly. 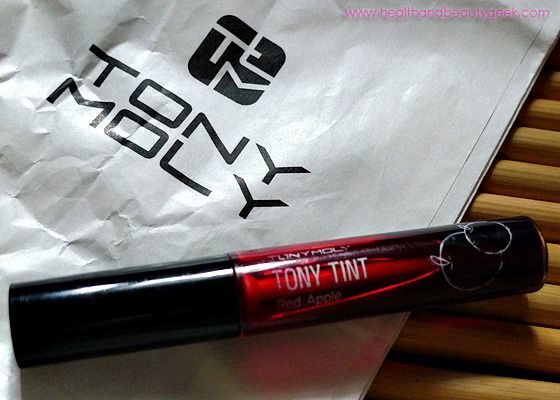 I asked the SA for their lip and cheek tint and she gave this Tony Tint. It comes in two shades, Red Apple and Cherry Pink. Unfortunately, Cherry Pink is sold out. I bought the Red Apple for Php 278, I don’t have anything to compare with anyway.